KCAD Digital Media students designed an interactive app that educates middle school students about the realities of climate change. They wanted to inform these students about global warming issues in a way that was understandable and relatable. The student design team included Ed Kindsvater, Brenda Snell, Tony Ellison, Casey Davis, and Pierre Babbitt, who worked with students from Kenowa Hills Middle School to make this possible. 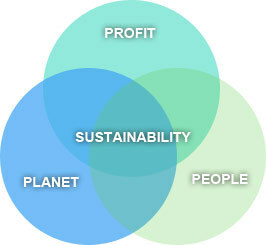 Triple bottom line for all design.